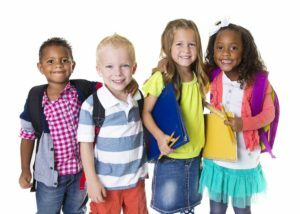 Our experienced team at Cornerstone Psychological Services is pleased to provide assessments pertaining to Giftedness; Attention Deficit Hyperactivity Disorder (ADHD); Learning Disabilities; Autism Spectrum Disorders (what was formally referred to as Asperger’s Disorder); Developmental Disabilities; Mood; Dyslexia; and Anxiety. We can provide a Psychological Assessment for a child or an adult. We also have trusted treatment partners who support mental health, personal and family issues as well as other professionals who provide academic coaching, tutoring, iPad and other technology training to support productivity. If you are looking for a psychological assessment in Toronto or the Greater Toronto Area (GTA) York Region; Simcoe; Durham Region; or any other location in Southern Ontario, we are conveniently located in the professional offices inside the Promenade Mall with plenty of free parking and access to the TTC, YRT, and Brampton Transit. We assess obstacles to learning, social functioning, mental health, and productivity. We then generate meaningful strategies for success. We provide relevant strategies to empower our clients with the awareness and skills they require to increase their success in school, work, and life. At Cornerstone Psychological Services, one of the many services we offer is to examine how our clients take in and process information, think, interact, resolve problems, and generate products. Previously, assessments primarily looked at learners at the extremes - only the gifted or those with developmental disabilities. While we work with both of these groups, our assessments also help target learning difficulties with the largest group that falls within the "average to bright" range. In fact, about 15% of the population is considered to have an uneven learning style or learning disability. Having a learning disability frequently sabotages one's capacity to reach one's full potential. Often individuals chronically state that they feel they "know more than they can show". This leads to frustration, feelings of low self-esteem, poor self-confidence, anxiety, diminishment of mood, and/or emotional instability. In addition to assessments, Cornerstone Psychological Services provides learning strategies, organization and time management coaching as well as consultation services. We offer treatment for anxiety and other personal issues, parenting, family and individual support. Since we are well-connected in the community, we also are able to make referrals to outside resources to best suit the needs of our clients. Visiting Cornerstone Psychological Services is the first step toward success. We believe that clients deserve to be treated professionally and kindly – as if your children were ours or as if you were one of us. We feel strongly about having an inviting and friendly atmosphere. As such, clients are welcome to enjoy a coffee, tea, or snack in our hospitality area and our child clients always leave with prizes. Learn more about what to expect during a Psychological Assessment Toronto.